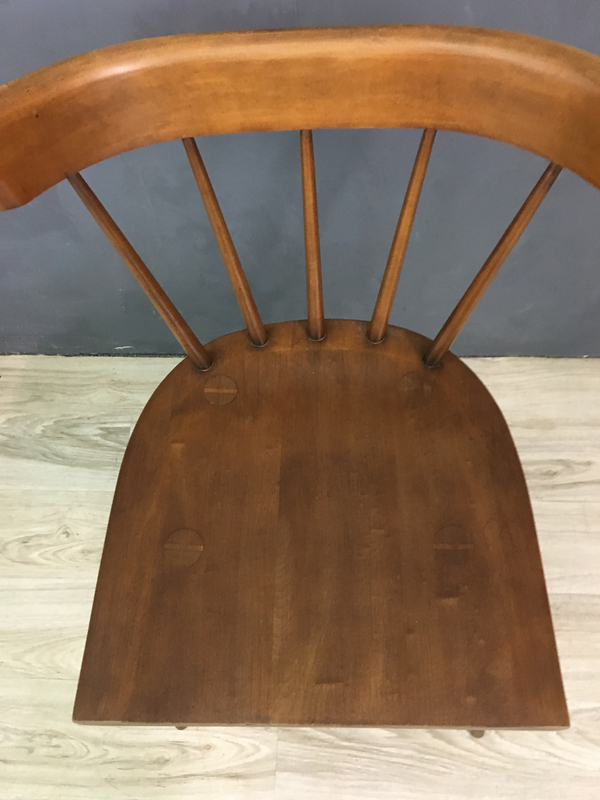 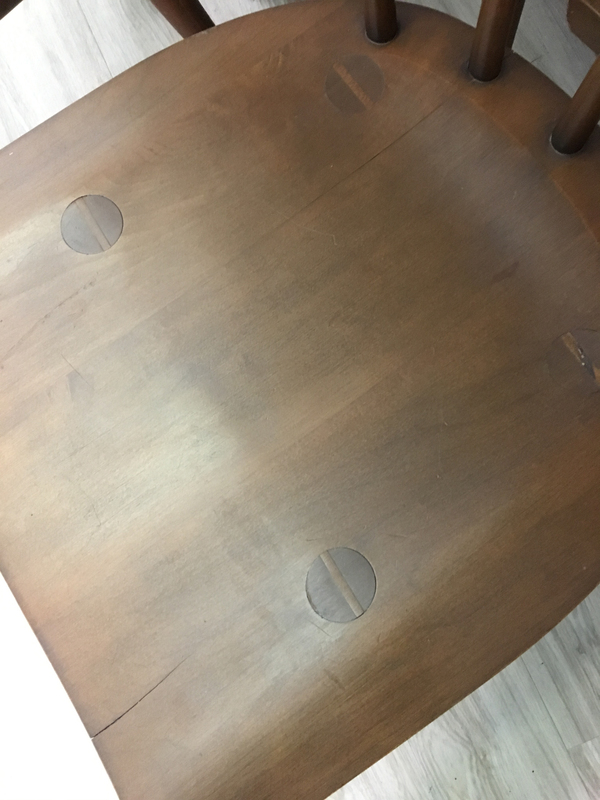 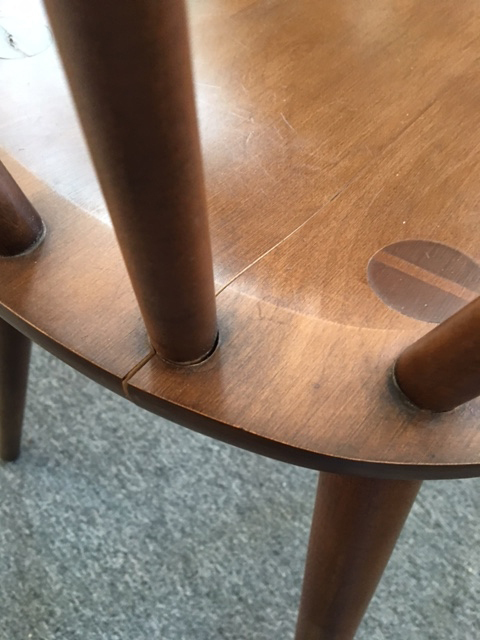 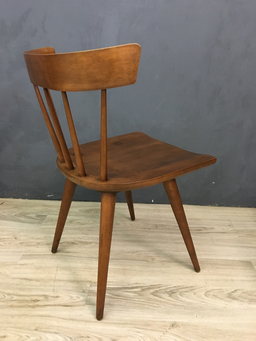 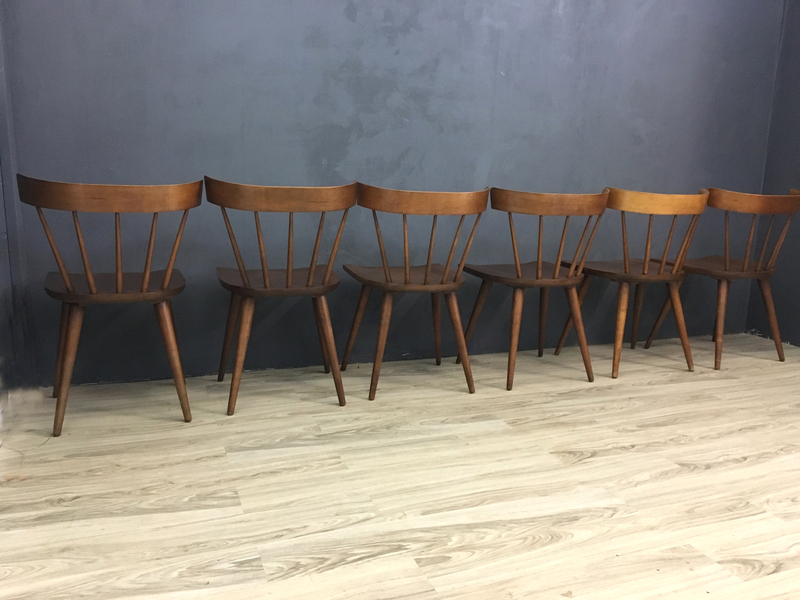 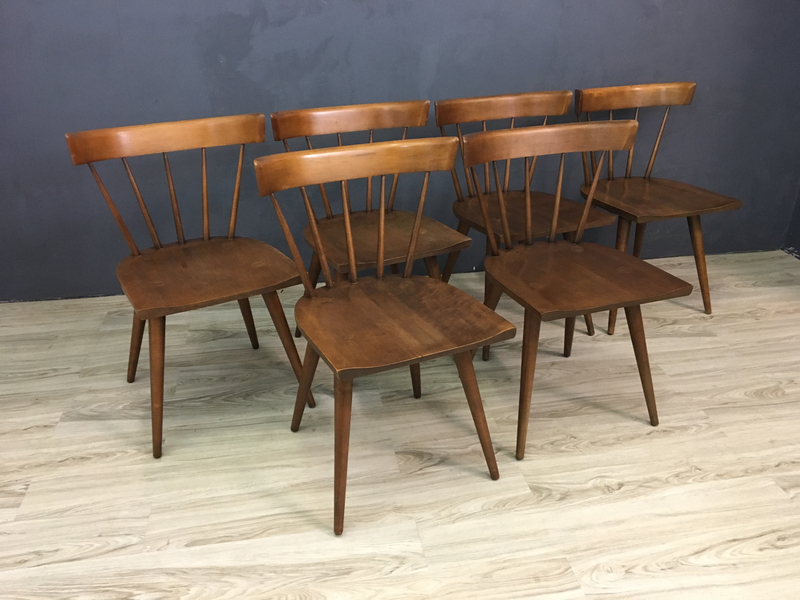 Dating from the 1950’s, these solid birch chairs are a classic example of Paul McCobb design in their elegant simplicity. Six spindle back style, stained a warm brown known as “Tobacco.” The set has been thoroughly cleaned and re-stained without removing the desirable patina of age. Beautifully designed and crafted. 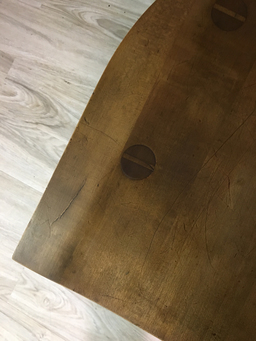 Photos indicate some minor cracking, which is not structural in nature.